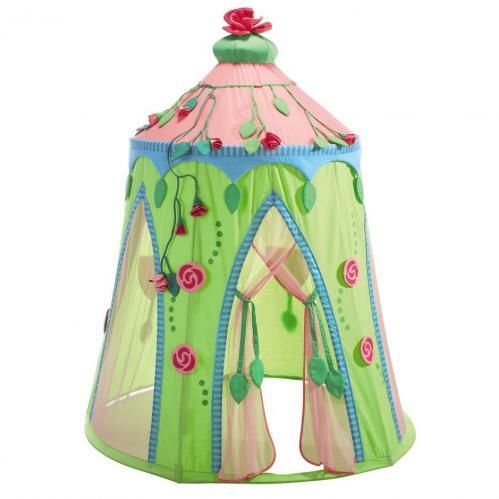 Full Description Rose Fairy Play Tent - Beautiful sewn on designs, plus 2 rose garlands adorn this gorgeous Rose Fairy Play Tent. 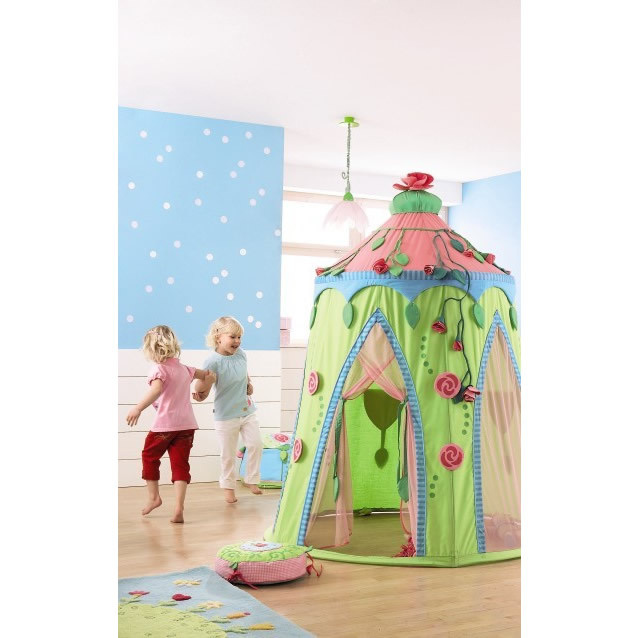 Just imagine the stories she will tell her kids about her fun and exciting adventures in this whimsical play tent. 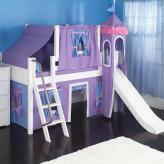 It's perfect for any bedroom or playroom! 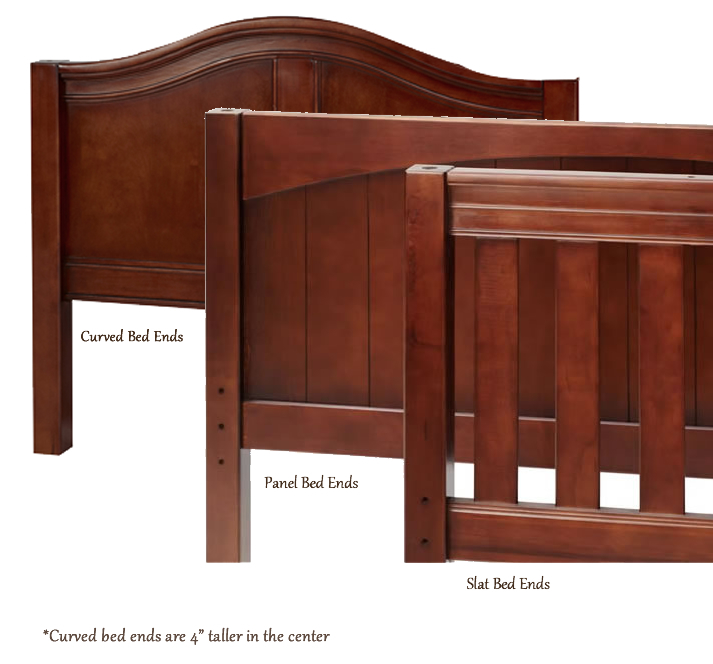 Easy tear down for space saving storage. Cushion sold separately. For ages 3 and up. 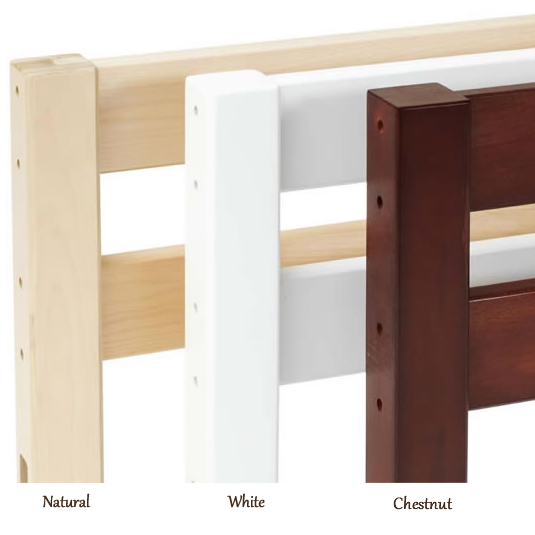 Not designed for camping or outdoor use. Safety: Keep this product away from flames, hot air blowers or other sources of heat. Cleaning: This product can be cleaned gently by hand.